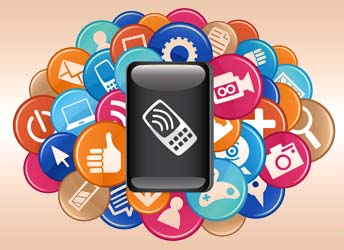 In this Tutorial you will learn How To Choose The Best Smartphone Apps. BIP CLC is a great place to find all the information on these new APPS. There are however few who outperform the rest and come up with game-changing apps. Finding them in the large pool of developers is a challenge. When you find a good app that you like, you might want to check out the developer and see what other apps they have developed. They may be only one person or a studio, but the chances are that if they have created one app that works well then the other products that they have developed are just as good. You will thus save a lot of time when looking for other apps when you know your developers. You can follow them by subscribing to a regular newsletter and keep abreast with their latest releases. Also, subscribe to their Twitter feed or any other social media platform. Like this, you will remain in touch with developers directly. Google and IOS have brought the biggest app boom that we have seen in history. These days there are apps for almost everything. Many of these come packaged very well, but it is very few that come close to delivering on what they promise. In the Google app store and the apple store there are thousands of apps and for one to find an app that meets your tech needs, you have to invest a lot of time and effort to find the right one or else you will end up with apps that bring a lot more harm than good to your smartphone. Here are some tips on how to find the best smartphone apps. In these app stores as in all shops and markets, you have to know what you're looking for to choose the best products. Many of us make the mistake of just idly clicking on apps and hope that they stumble upon a good app that they can use. This is a very inefficient way that is not only time wasting but dangerous for your phone because you may end up downloading viruses. You must know exactly that you need before setting off shopping. Many developers submit press releases to tech journalist every time they come up with something new. Tech journalists thus have an extensive knowledge of the newest and bets apps, and they sometimes make a point of informing their readers on what they know. You can take advantage of this and ensure that you read as much app round-ups that you can get your hands on. They have a lot of information on the best apps on the market. Another great way of getting the best Smartphone apps on the market is by asking friends or acquaintances. For most of us, our smartphone apps needs are similar, and the chances are that your friends have the perfect apps that you are looking for saving you a lot of time!